On November 6th, over 40 educators from Buncombe County Schools participated in the Asheville Chamber of Commerce’s STEM Career Awareness Day. STEM- Science, Technology, Engineering and Math are a set of disciplines when blended together produce new way to look at education and the workplace. As the workplace continually evolves and innovative technologies emerge, workers must not only possess technical skills, but workplace essential skills such as problem solving, working and collaborating as part of a team, and being able to transfer skills to multiple tasks they are given. Educators toured Linamar and Eaton and heard from a panel post-secondary (A-B Tech and Western Carolina University) and STEM-business partners (Linamar, Duke Energy, and the Asheville Chamber of Commerce) who provided information on careers in Buncombe County and the qualities needed to obtain a STEM-related job. “The day was a great way to show our educators STEM-related careers. It is crucial for our students to know what business and industry surrounds them in Buncombe County. We are educating our future workforce and we want them to stay in Buncombe County when they get ready to enter the career field of their choice.” Christy Cheek, Career and Technical Education Director said. 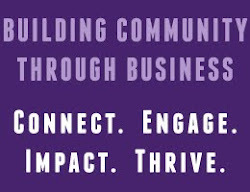 Clark Duncan, Director of Marketing and Business Development with the Economic Development Coalition for Asheville and Buncombe County at the Asheville Area Chamber of Commerce stated, "The value in events like these is making strategic connections between business and education. The alignment of the needs of our business community with the skills, interests and career readiness our students and rising workforce is essential to economic vitality."